Sohe Chung is seen in this undated photo confirmed to CTV News Toronto by co-workers. 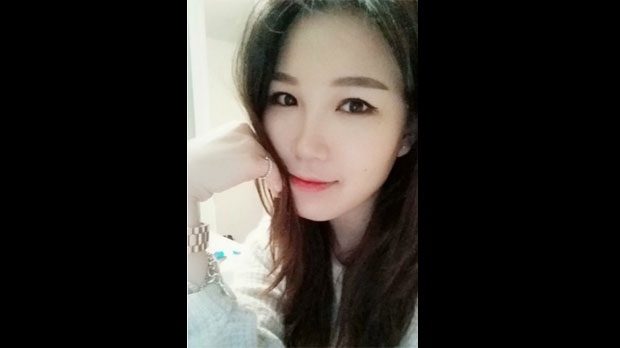 Employees at a downtown Holt Renfrew have identified a co-worker – Sohe Chung – as a victim of the deadly North York van attack that took place Monday afternoon. The employees told CTV News Toronto that management conveyed the news that Chung had been killed. She worked as a sales associate on the third floor of the department store. A card with Chung’s name on it was placed among the flowers at Olive Square, near Yonge Street and Finch Avenue. “You will always be remembered for your wonderful heart and kind soul,” the card reads. Ten people were killed after the driver of a van struck a number of pedestrians along the 2.2-kilometre stretch of Young Street between Sheppard and Finch avenues on Monday. On Wednesday, friends of 94-year-old Betty Forsyth said they believe she was a victim of the attack. Forsyth has not been seen since Monday afternoon, after she went on an afternoon walk. Her nephew told CP24 he has been asked by the coroner’s office to help identify her remains. That same day, two other victims were identified. 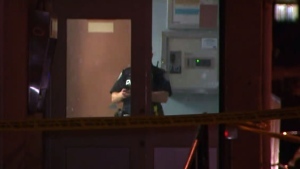 The Toronto District School Board (TDSB) said one of the victims was Renuka Amarasingha, 46, a single mother from Sri Lanka. Amarasingha had just finished her first day of work at a nearby high school cafeteria when she was struck by the van. Amarasingha worked as a nutrition services staff member for the TDSB since 2015. “We are reaching out to her loved ones to support them in any way possible,” TDSB Director of Education John Malloy said in a statement Wednesday. The president of the Jordanian Canadian Society said a Jordanian citizen had been killed in the van attack. Muni Abed Alnajjar and his wife were visiting his son, who is the director of the Canadian Arab Orchestra, at the time of the incident. Friends and family have also identified Anne Marie D’Amico, Chul Min ‘Eddie’ Kang, and Dorothy Sewell as victims of the van attack. The grandson of Dorothy Sewell, 80, described his grandmother as an avid sports fan. The Chief Coroner has not released the names of people who were killed in the attack. 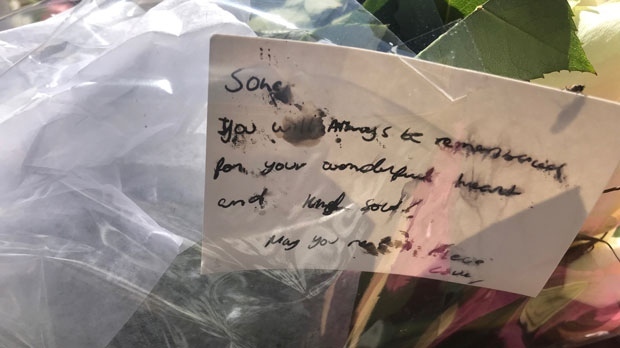 A number of people are still recovering from critical and serious injuries after the van attack. Sunnybrook Hospital has confirmed that five people remain in critical condition and three are in serious condition. Amaresh Tesfamariam, a 72-year-old Toronto nurse, was one of the most severely injured of the survivors, her family said. “She’s a very routine person and she always takes the subway, goes underground and goes into work. But that day she didn’t because it was sunny and beautiful,” Tesfamariam’s niece, Liah, told CTV News Toronto. Liah said her aunt is still very swollen, but that doctors are doing everything they can. Tesfamariam is in intensive care at Sunnybrook. For those who want to provide financial aid for either the injured or the families of the people killed by this attack, GoFundMe has created a hub that compiles all of the various campaigns created following the incident on Monday.